Category Gallery is a group-based configurable app that allows you to display all of the items from a group in a searchable and filterable grid or list. You can view items using a variety of criteria, including group or organization categories, type, date, status, and more. The app also provides a configurable 2D or 3D lightweight embedded map option, or the item details can be opened and the map or layer viewed using the Map Viewer or Scene Viewer. Category Gallery includes a number of easy-to-configure components, including the following. D – Configurable filter tools, including by category, type, tags, status, and more. E – Grid or list display for group contents. F – Embedded 2D or 3D map that can be configured to display legends, a basemap gallery, your location, search, and more. 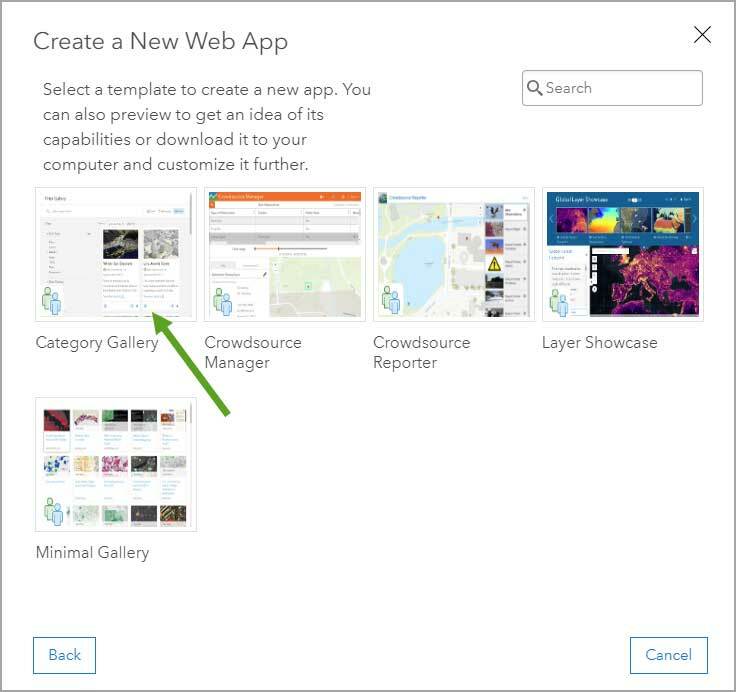 Follow these steps to configure and share your own Category Gallery app. 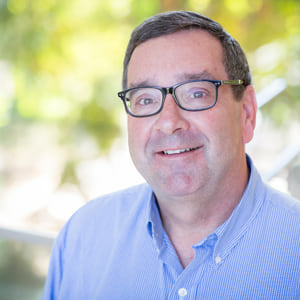 Step 1 – If you’ve not done so already, create a group, and add the content you want to use to the group. As a best practice, ensure that your group and the items within it have a good thumbnail, summary, and description. Step 2 – Review the group sharing, and available filters. Open the group Settings tab. And review Who can view this group? For public access, ensure that the group and its contents are shared publicly. Use other settings for use within your organization, or for group members only. Note that content within the group may have different access permissions. Review permissions for group content prior to configuring the app. To review available filters, go to the group Content tab. Review the filtering options on the left. 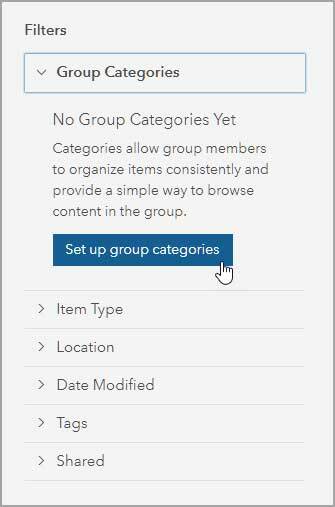 You can also set up group categories if desired. These filters will be how content in your group can be searched in the app. Step 3 – From the group Overview tab, click Share. 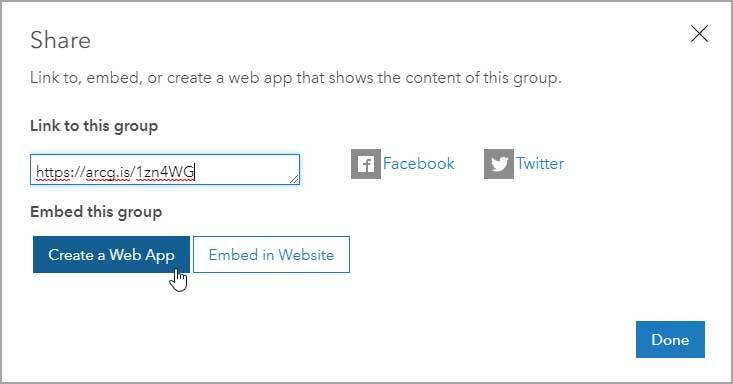 Step 4 – In the Share dialog, click Create a Web App. 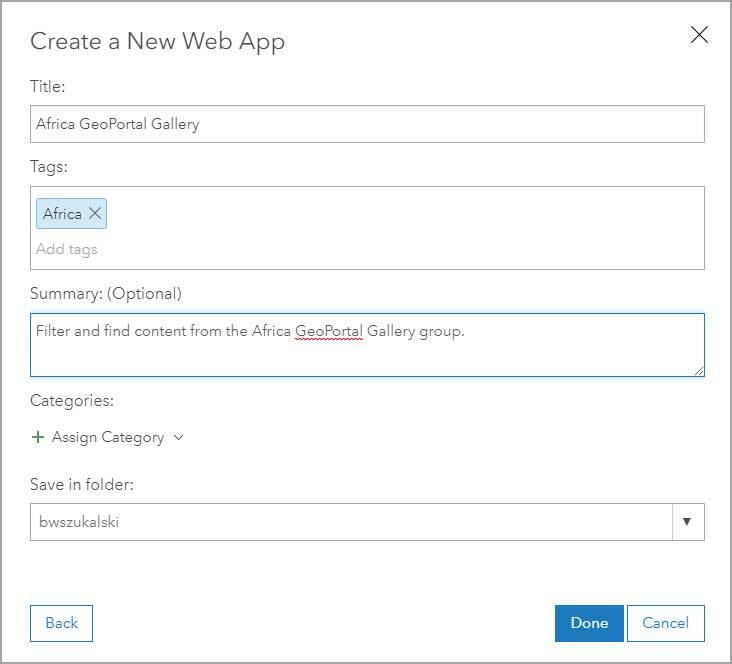 Step 5 – Choose the Category Gallery app. 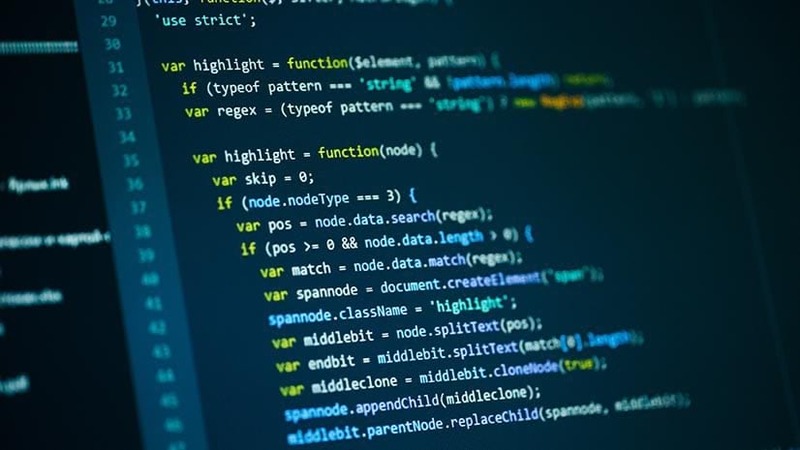 Step 6 – Click Create Web App. Step 7 – Enter a title and tag(s), an optional Summary, then click Done. Step 8 – Configure the app as desired. Click the General, Theme, and Options tabs to make changes. Click Save to apply your changes; they will be seen in the preview in the configuration panel. When finished, click Close. 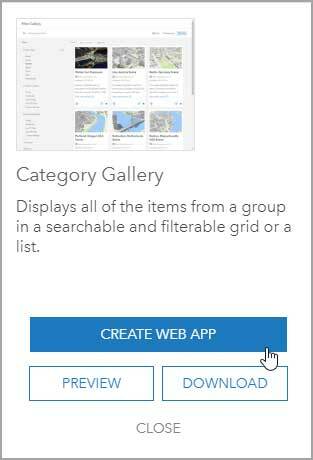 Category Gallery is a group-based configurable app that allows you to display all of the items from a group in a searchable and filterable grid or list. 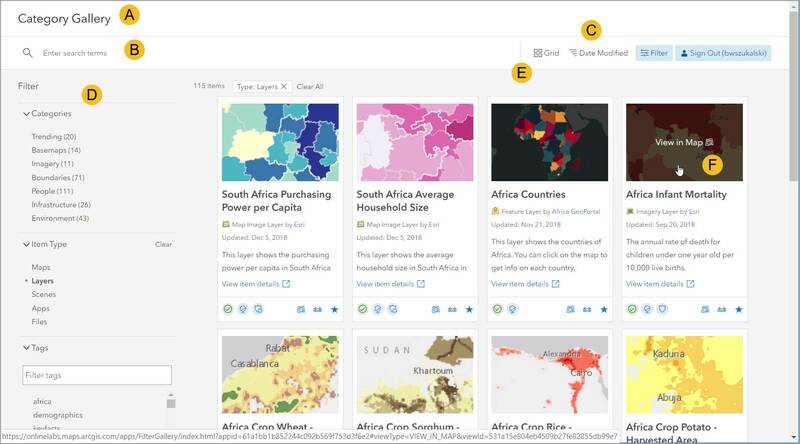 It’s ideal for providing an easy-to-browse gallery of content, that users can filter in a variety of ways, including organization or group categories. The app also includes an embedded configurable map viewer, plus access to the item details.